OpenStax is a nonprofit organization committed to improving student access to quality learning materials, and its open educational resource (OER) textbooks are developed and peer-reviewed by educators to ensure they are readable, accurate, and meet scope and sequence requirements. Knewton’s adaptive learning platform will provide specific content recommendations for precisely what a student should study next by analyzing the data set of what the student knows, how she learns, and what concepts she needs to achieve a stated learning goal. 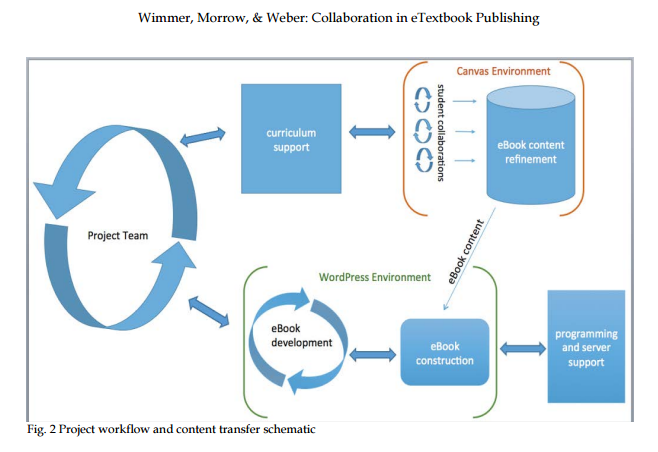 My reading of the article is that OpenStax will continue to produce OER textbooks and have licensed the content to Knewton to modify and produce more individualized OER. Knewton will then be able to use analytics to determine what works and what doesn’t. Whether Knewton shares this with OpenStax to improve the OER content or design is not clear; I would expect Knewton to use the analytics to improve their service. The concern for me is that the student-instructor relationship is weakened by dependence on online learning. Custom individualized learning has costs. Analytics is one tool among many and often not very personal. 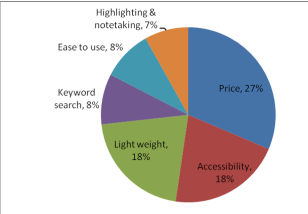 It remains to be seen how many people are willing to pay Knewton for the individualized customization of an open access OER. o	Managing UTC’s Affordable Course Materials Initiative, working with faculty to utilize open access or library-licensed electronic resources within their courses instead of traditional costly textbooks. Amazon Inspire (https://www.amazoninspire.com/access), as it’s called, is to focus on free content, there’s no indication that Amazon won’t add resources for purchase in the future. The announcement came during this week’s International Society for Technology in Education 2016 Conference, taking place in Denver. The United States Department of Education is supporting the service. The department is working with XanEdu to create customized and cost-effective unit readers for students. partnership with XanEdu Further information about the unit readers is available on the XanEdu site. Here at the University of Illinois at Urbana-Champaign we have a solution called eText. We would love to talk to you about it. eText@Illinois is a multimedia, accessible solution that has saved our departments nad students between 40-75% over traditional text books. If you are interested, please let me know. I have carbon copied our lead on eText Milind Basole who would love to talk to you about it. Anyone know of a school with a successful Ebook program? We are trying to get the cost down for the student and our provost thinks this might help. why Open Access is such a critical issue for higher education and scholarly publishing. Faculty, librarians, staff, and students from all of SUNY are invited to join the conversation, learn about open access, have your questions answered, and share the good work that happens on our campuses. Please share this invitation with others on your campus. I am pleased to extend you an invitation from the SUNY Council of Library Directors (SCLD) to the SUNY Open Access Week webinar series. As SUNY, and all of higher education, moves towards open scholarship, open publication, open education resources, and other data, it is essential that we have a solid understanding of the possibilities, potential, and impact of providing and utilizing high quality open material. The SCLD has recruited a group of talented and engaging speakers to provide perspectives on why Open Access is such a critical issue for higher education and scholarly publishing. Faculty, librarians, staff, and students from all of SUNY are invited to join the conversation, learn about open access, have your questions answered, and share the good work that happens on our campuses. IU eTexts are powered by Unizin’s Engage e-reading platform, which integrates with IU’s Canvas learning management system. 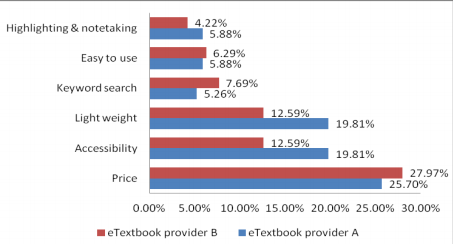 We also show that the vast majority of survey respondents perceived the open textbook to be of the same or better quality than commercial textbooks used in their other courses. Further, many of them appreciated the fact that the textbook was customized to this particular course—which is made possible by the use of a textbook with an open license.